Through the BBS-AS shop we offer a small number of miscellaneous items. 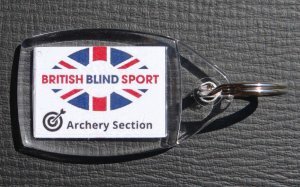 A simple key ring with the BBS Archery Section logo displayed on both sides. Please direct all queries or orders to shop@bbsarchery.org.uk. For shipping options please see our main shop page.